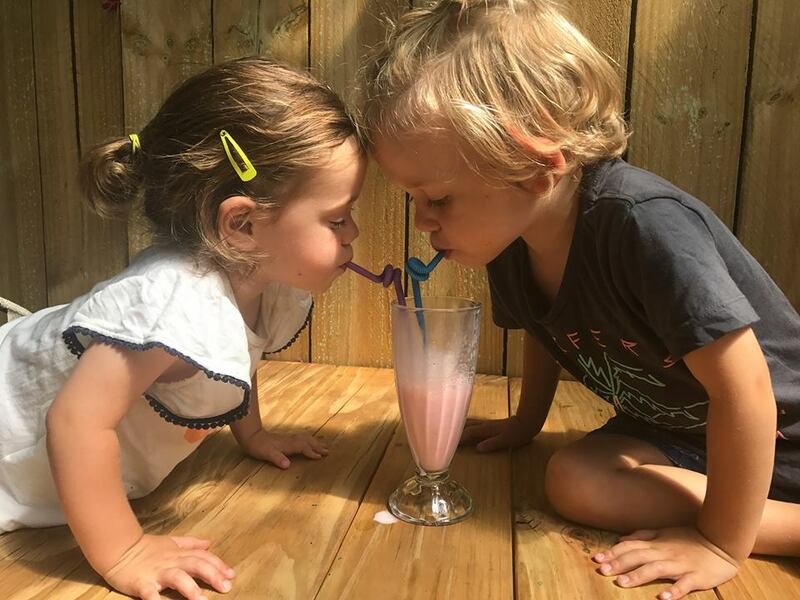 Milkshakes feature heavily in so many childhood memories – from chocolate-syrup-and-milk homemade versions to frothy concoctions in stainless steel cups at the local milk bar or fish and chip shop. Beloved by kids (and kids-at-heart!) the world over, it’s hard to refuse a sip when they’re on the menu. 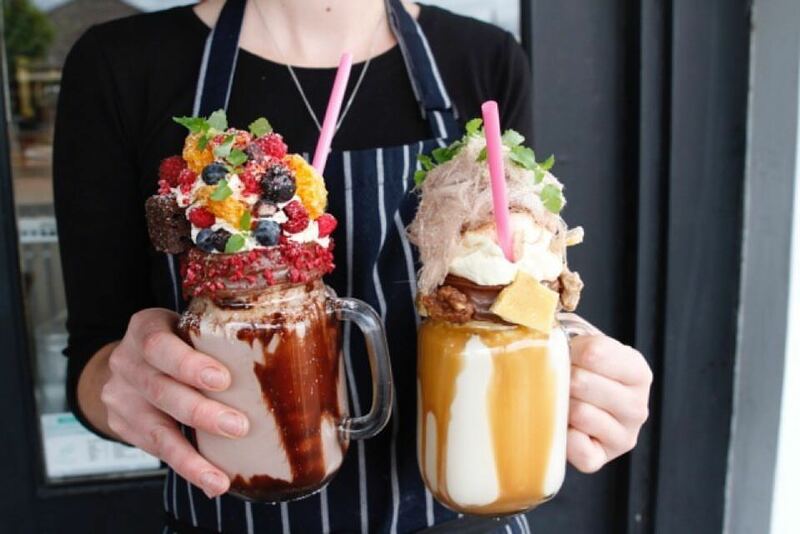 Melbourne has cemented itself firmly on the milkshake map, whether it’s a favourite Aussie throwback or a fancy new freakshake. There’s anything and everything to be found in this city, including shakes for our plant-based pals, and folks with other dietary needs, which Melbourne caters to so well. Mister Nice Guys has got the vegans or dairy-free among us covered with their Monster Shakes, available every day from 10am to 4pm. The flavours change daily, with the choices spanning everything from vanilla with epic rainbow decorations, through to their decadent triple Chocolate Lochness. An absolute favourite with Melbournites, Rowena Corner Store has your milkshake needs on lock. Calling themselves “”https://www.facebook.com/pg/rowenacornerstore/videos/?ref=page_internal" target="_blank">The Home of Milkshakes" it’s not hard to see they take the frothy beverage super-seriously. Their Seven Deadly Sins thickshakes are not to be missed, but for those who prefer a simpler sip, they also offer regular shakes in pretty diner glasses. All milkshakes are made with Volcano Gelato and run the gamut of original flavours as well as newbies like lamington and the Aussie (with salted caramel and Vegemite – but only a little bit!). For the sleep-deprived among us, go the Morning Alfred and enjoy a double-shot espresso shake. Blended on-site with 7 Apples Gelati frozen custard and familiar Aussie milkshake flavours, Royal Stacks’ milkshakes totally stack up. Take a stroll down memory lane with blue heaven and banana flavours, go straightlaced with the chocolate or strawberry, or find yourself in new-school territory with a frosty glass of salted caramel or French vanilla bean. 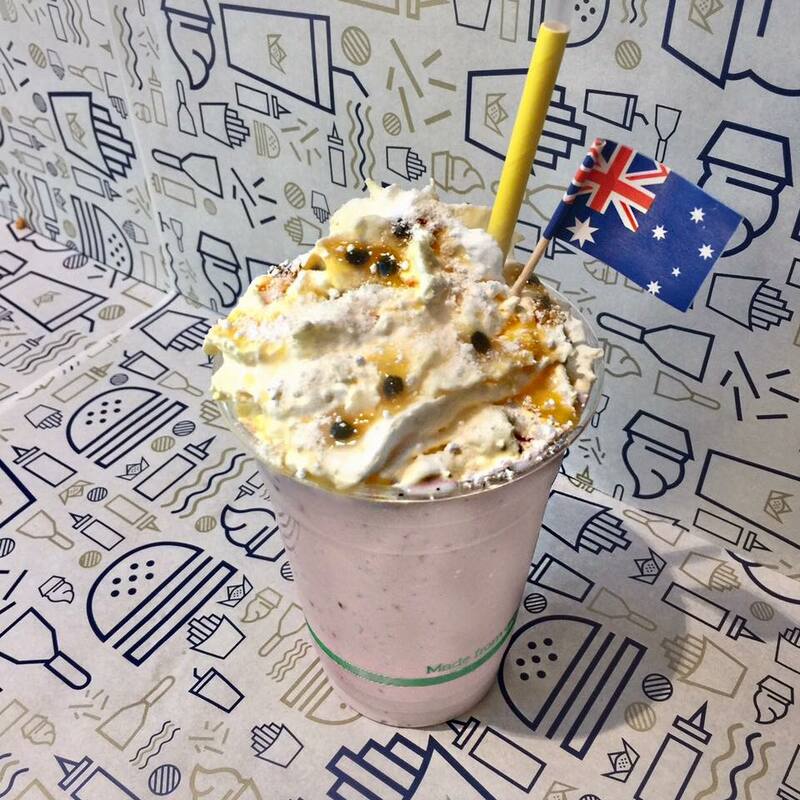 Their menu is halal, and festive flavours are often available – check out their pavlova-flavoured shake for Australia Day! For childhood nostalgic creamy concoctions in frosty milkshake cups, you can’t go past Parlour Diner on Chapel St. Primarily an American-style burger joint, you can also find yourself with a choice of hard and soft drinks to please every palate – check the specials board for daily milkshake flavours, or go to town on their always-available (and mega-popular) Old School Choc Malt Shake. Get yourself down to Naughty Boy Cafe for their legendary InstaShake™ offerings: the Kinder Surprise has Kinder-inspired milk, white chocolate ganache, white chocolate mousse, mud cake, chocolate shards and soil, and the Berry Cheesecake comes with a generous dusting of freeze-dried fruits. For small folk, order the kids’ size in a paper cup with a straw and lid for $3.50. 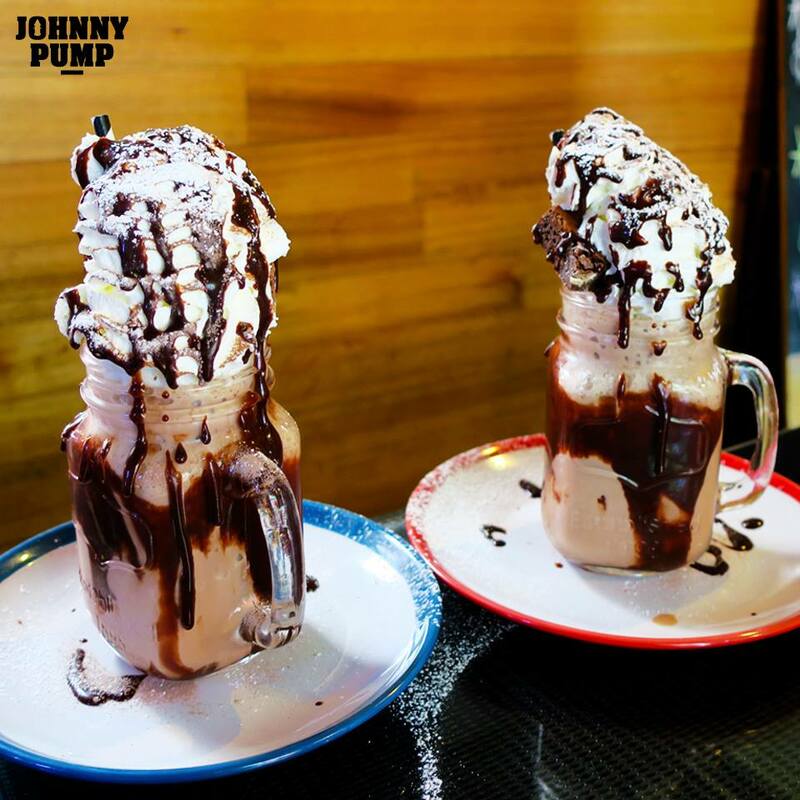 Johnny Pump‘s #dessertshakes are insta-famous – and with good reason! Extra-tasty milky blends topped with outrageous add-ons, these shakes aren’t for the faint-hearted. Check their Facebook or website for rotating specials, often certain flavours are only available for a limited time. They go all out at Christmas! 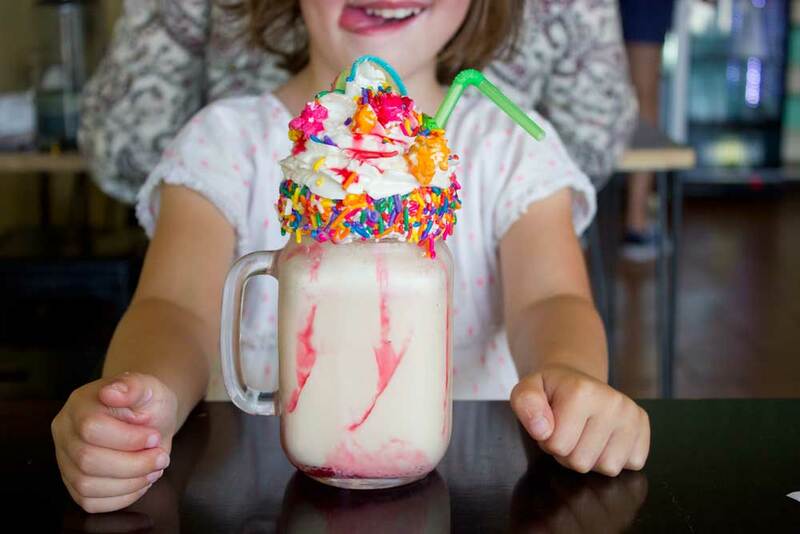 The Collingwood Children’s Farm Farm Cafe has excellent kid-centric milkshakes, and the Momofuku-style Candied Bakery in Spotswood serve up a decadent Apple Pie shake (pastry included!). 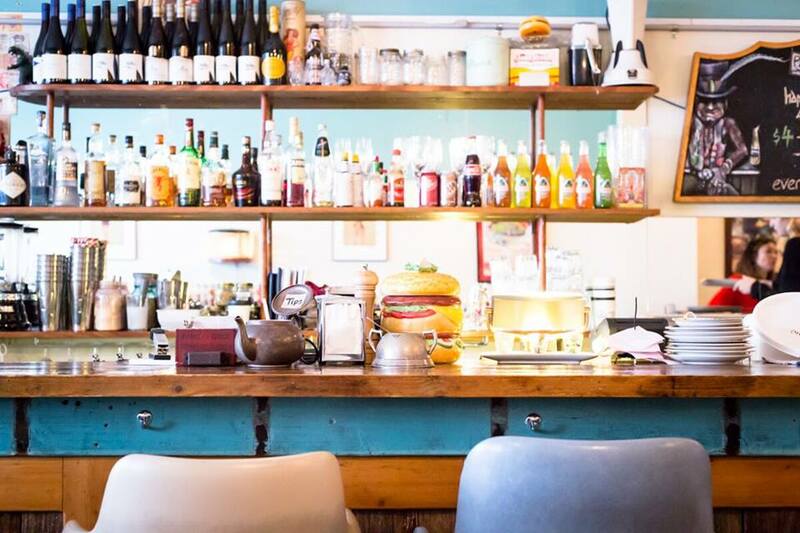 Parlour Diner in Windsor serves up super-popular Old School Choc Malt Shakes alongside their American burgers + hotdog offerings, and Cubbyhouse Canteen’s dedication to all things children means their milkshakes are top notch.